Family owned & community oriented since 1998. Welcome home. 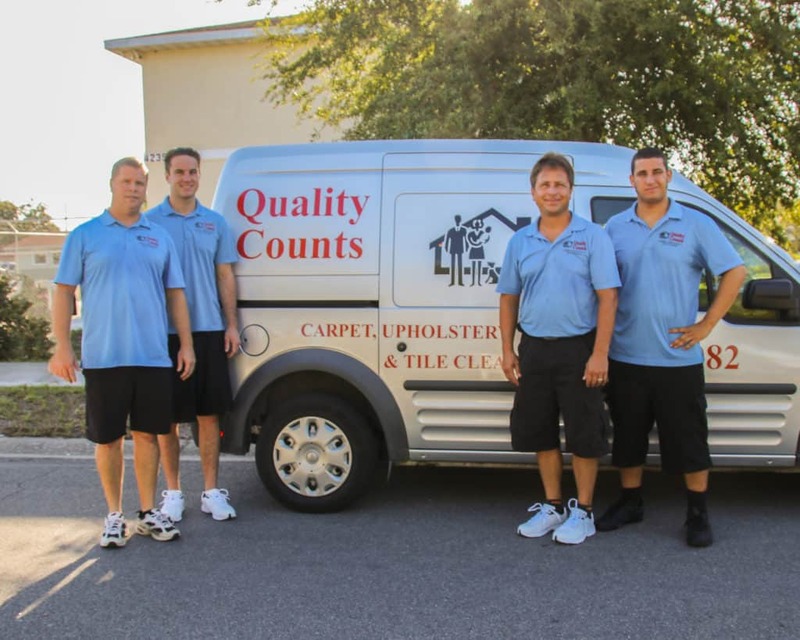 Quality Counts Carpet, Upholstery and Tile Cleaning is a family-owned business started by owner, Rick Smotryski in 1998 and is locally owned & operated. The company is based in Bradenton, Florida and offers services for individuals and businesses. Trust our 20+ years of quality carpet, upholstery, tile, & grout cleaning. I have used Quality Counts several times for upholstery cleaning and carper cleaning. They have always done a at a reasonable price. It will always be Quality Counts for me. We offer a complete line of floorcare services, including carpet cleaning, tile/grout cleaning, upholstery cleaning, stain removal, marble polishing, sanitizing, flood services and more. The solutions we use are purchased from the worlds largest producer of carpet and upholstery cleaning chemicals and the equipment we use is among the best in the industry. But this isn't even half of what goes into carpet, tile & upholstery cleaning. The most important element is our technicians and the value we put on building long-lasting relationships with our customers. We are able to do this because we treat our customers like family, with respect. The name 'Quality Counts' is used as a constant reminder of the high standard of service we strive to maintain. A majority of our business comes from personal referrals and we promise--if used once--you'll be happy to use us again. Fabulous service, excellent job, amazing pricing. Very pleased with this company and their service! With over 20 years of experience, we are confident to guarantee our work and you can be confident booking us. The solutions we use are purchased from the world's largest producer of carpet and upholstery cleaning chemicals and the equipment we use is among the best in the industry. But this isn't even half of what goes into carpet, tile & upholstery cleaning. The name 'Quality Counts' is used as a constant reminder of the high standard of service we strive to maintain. A majority of our business comes from personal referrals and we promise--if used once--you'll be happy to use us again. 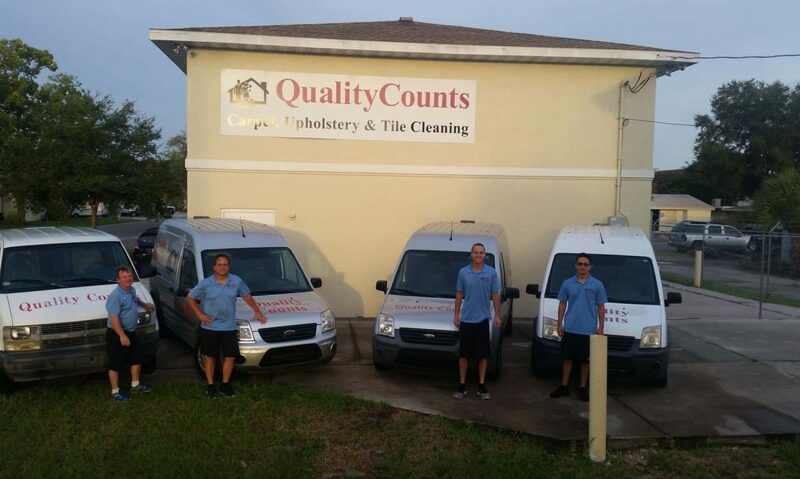 Quality Counts Carpet, Upholstery and Tile Cleaning is a family-owned business based in Bradenton, Florida and offers services for individuals and businesses. "We have used Quality Counts for years and they are always on time and are always consistent in their pricing."